Let’s take a walk down the history aisle. On average, Americans go grocery shopping 1.6 times a week, with each trip taking about 43 minutes. That’s a lot of time you could be using to do, well, literally anything else. Perhaps that’s why Blue Apron, Plated and Hello Fresh (and now, meal kits from Amazon) have become so popular. By shipping pre-measured ingredients straight to your doorstep, they eliminate the need to set foot in a supermarket. Ever. Again. 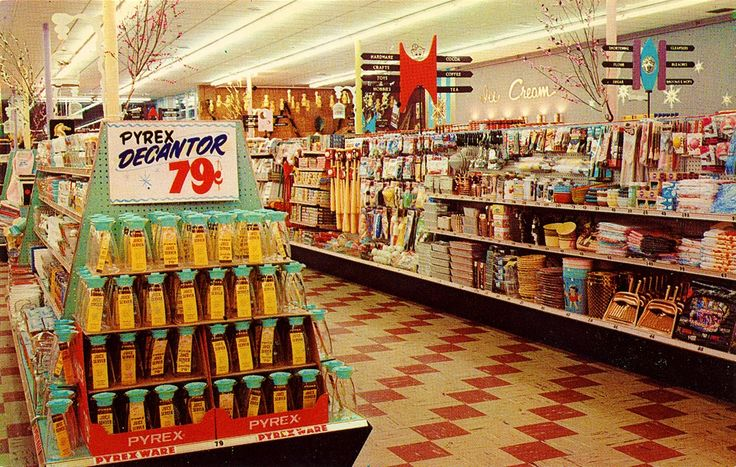 So let’s take a second to reflect on the kitschy but wonderful evolution of the American supermarket. 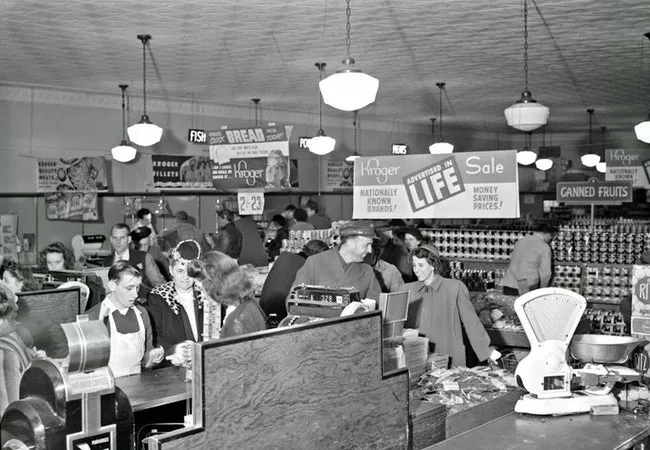 Before supermarkets became a one-stop-shop, people shopped at separate, small stores for each category of food. A street would be lined with “greengrocers” (for produce), dairy shops, butchers, fishmongers and grocers that exclusively sold dry, packaged goods like canned food. 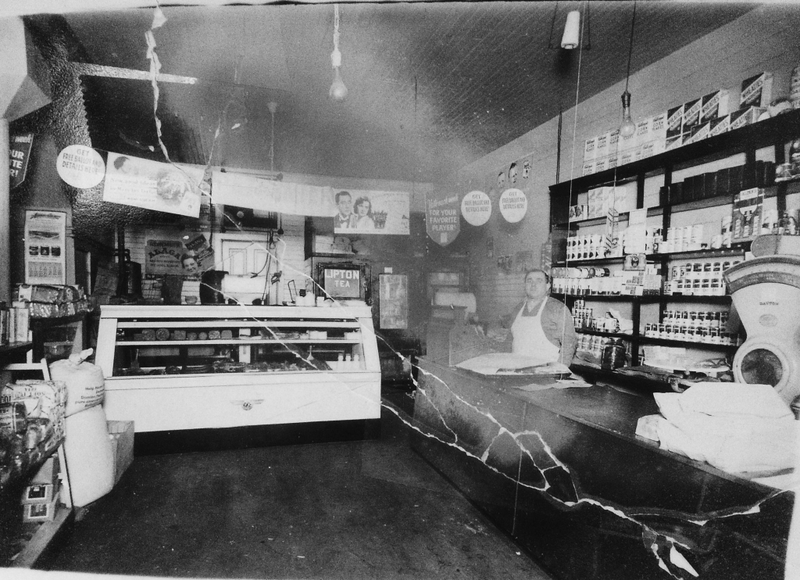 1916 was a historic year for the grocery industry. 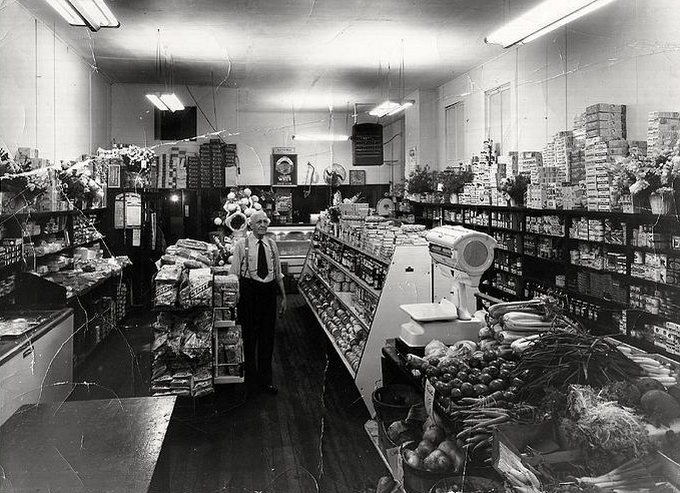 In Memphis, Tennessee, a grocer named Clarence Saunders opened the first-ever “self-service” grocery store. 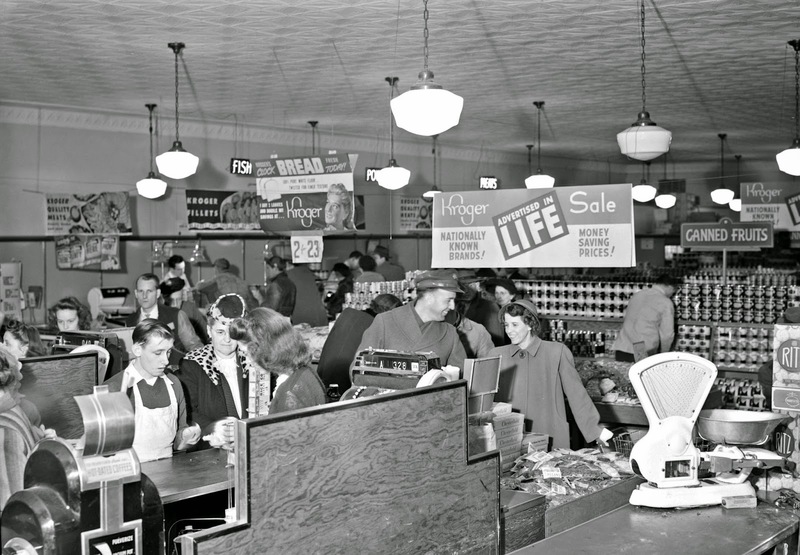 Believe it or not, before Saunders, customers had to walk up to the counter with a list for the grocer to fill. What a waste of time — can you imagine the lines? Self-service gave customers the power to pick and choose what products they wanted, which led companies to experiment with new ways to attract consumers. 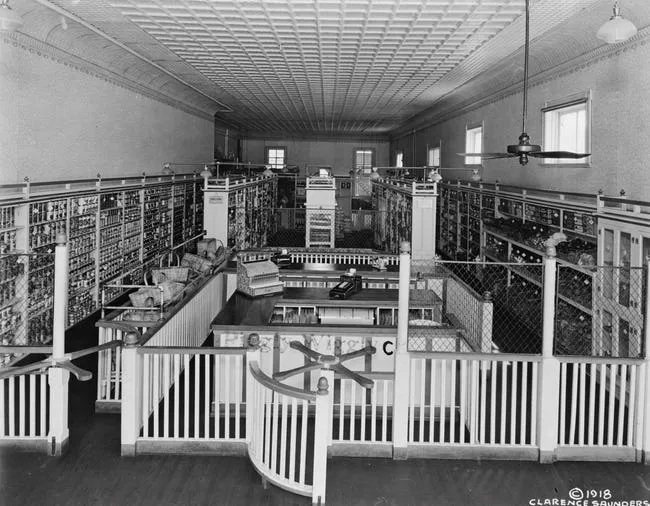 Saunder’s store, which he named Piggly Wiggly, also introduced shopping baskets, employee uniforms and placed products purposefully, for example candy (and other impulse items) at the checkout. Thanks a lot, buddy! Soon, more chain stores bubbled up, like Kroger and Safeway. During this period, stores were still small and often didn’t sell produce or meat. 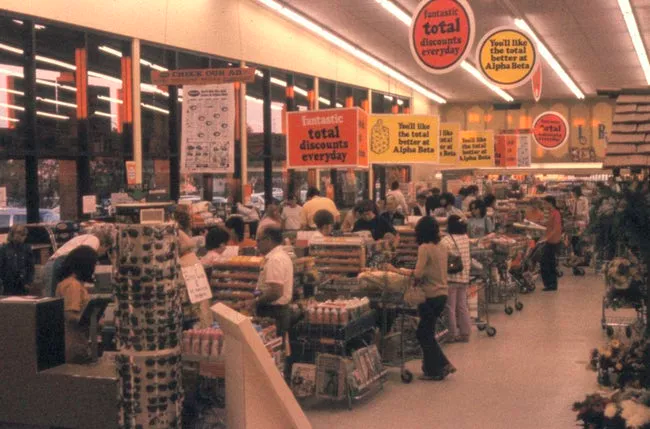 Chains like Ralphs and King Kullen sparked the rise of the supermarket, which included a smaller selection of meat, produce and dry grocery products in a barebones facility near — of course — free parking. During the Great Depression, when things were super bleak pretty much everywhere, some amateur grocers got creative. 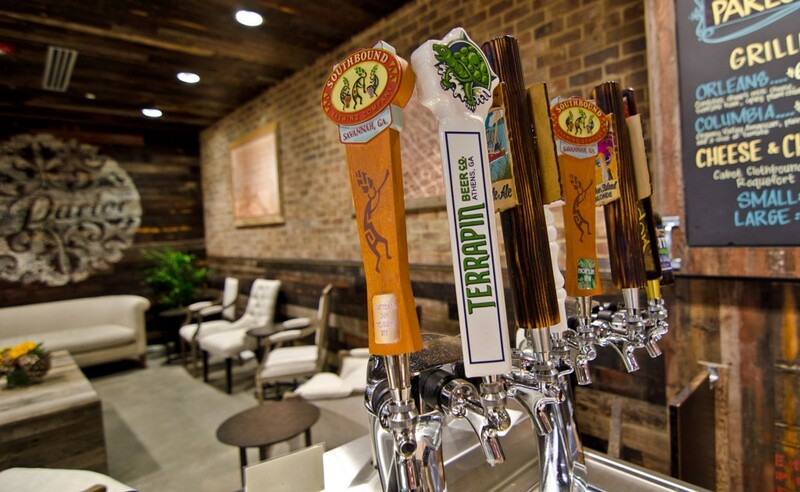 “Many survivalist entrepreneurs in urban areas opened small grocery stores in their own homes or in abandoned storefronts,” Robert Boyd, sociology professor at Mississippi State University tells Forbes. “At least they and their family members could live off of the unsold inventory.” Bleak, right? 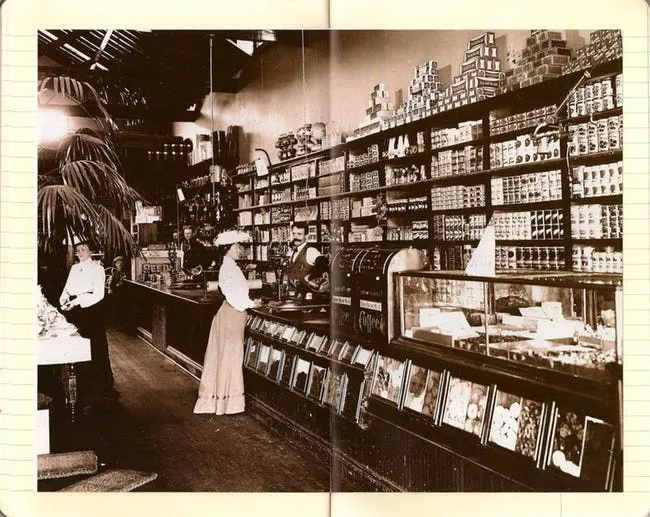 In 1930, just as the economy was starting to tank, a young Southerner named George Jenkins quit his job at Piggly Wiggly and opened a new supermarket called Publix in Winter Haven, Florida. 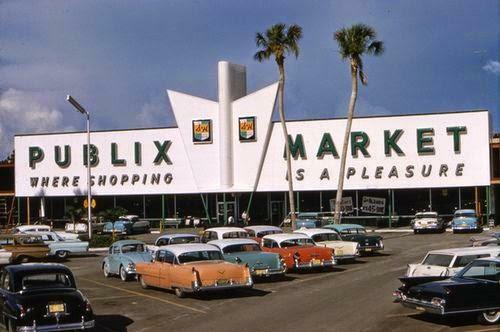 Jenkins envisioned Publix as a “food palace,” shining with new glass and marble. He installed air conditioning, fluorescent lighting and terrazzo floors. Publix grew and grew: today, there are more than 1,100 Publix supermarkets in the US (mostly in the South). Last year, the chain pulled in $34 billion in revenue. 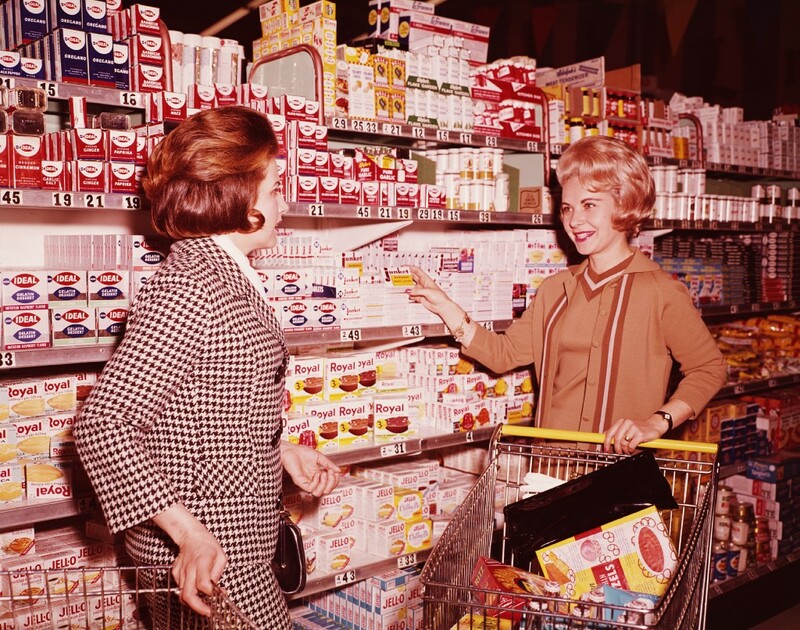 The 50s and 60s were the golden age of the supermarket, that quintessentially American invention. New stores opened every day. These were also the decades when advertising hit its prime, so chains competed with each other to have the most exciting logos, fonts and building designs. In the early 70s, the canned-food craze of the nuclear era was ending, and more and more Americans began craving food that was natural and organic. Small health food stores popped up around the country, but there was no supermarket providing a large amount of natural food in one place. All that changed in 1978, when a couple of 20-somethings named John Mackey and Renee Lawson borrowed $50,000 from friends and family and opened a small natural food store in Austin, Texas. The pair were so broke that they lived in the store, which was called SaferWay, and showered by using the dishwasher hose. 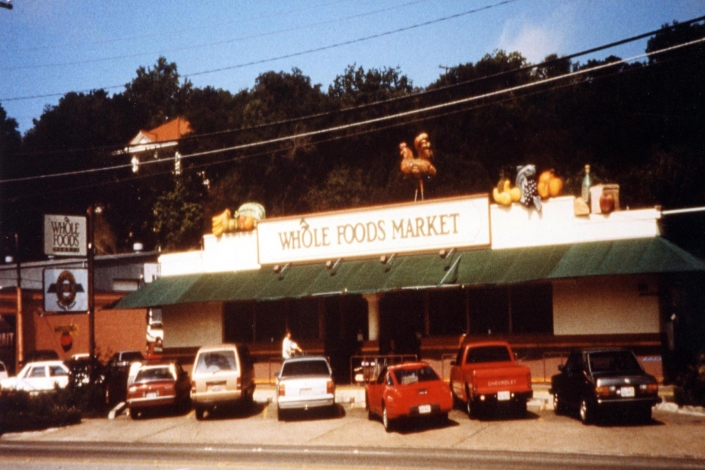 Things picked up two years later in 1980, when Mackey and Lawson merged their store with another local store, calling the new business Whole Foods Market. That first Whole Foods employed just 19 people. Today it has expanded internationally — there are Whole Foods in Canada and the UK. As a testament to its success, look at the numbers: earlier this summer, Amazon agreed to pay over $13 billion for the business. It’s anybody’s guess what the future of the grocery store will look like — or if it will even still exist.